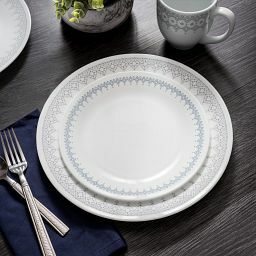 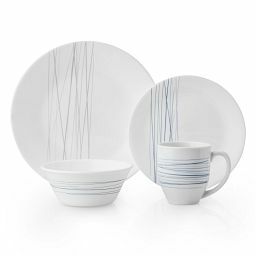 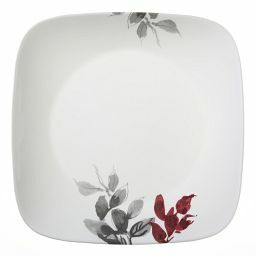 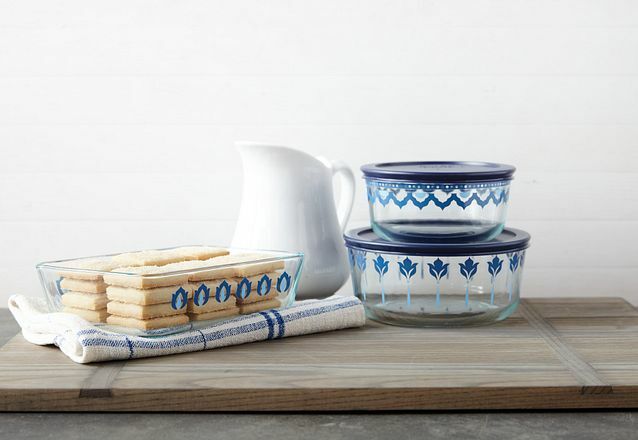 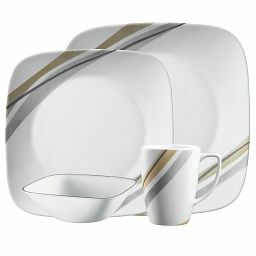 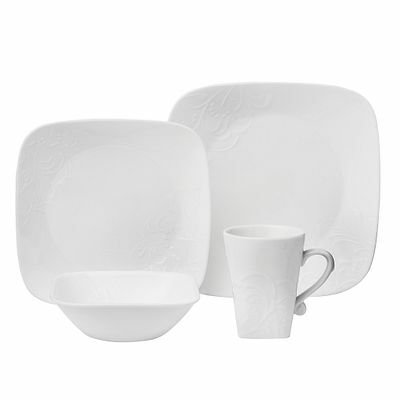 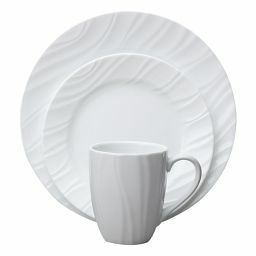 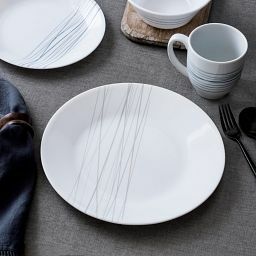 Delicate, detailed embossing makes our classic white dinnerware set your everyday best. 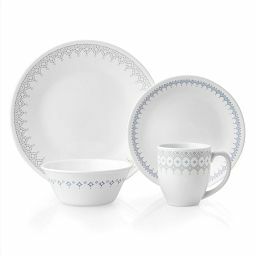 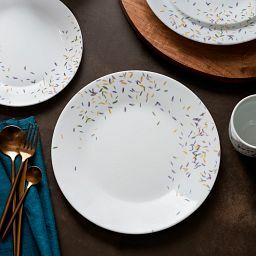 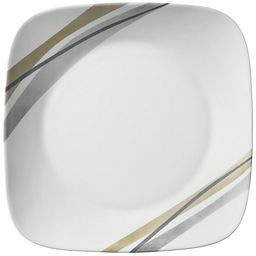 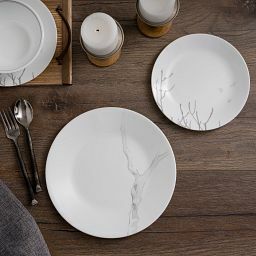 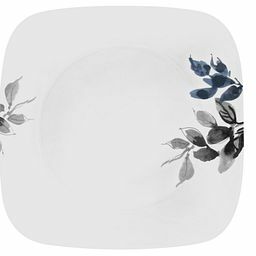 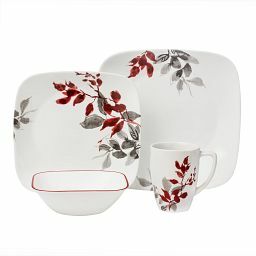 Essential white gets a makeover with our square, embossed-floral dinnerware set, a tonal way to introduce pattern to your place settings. 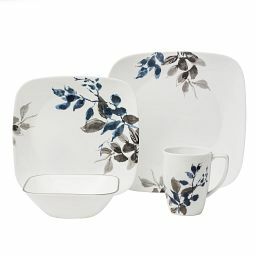 Layer it with other florals, play it against geometric patterns, and keep enough on hand for every day or a crowd.